Great accessory for any costume or costume party! Drive in style with this deluxe chauffeur cap with shiny vinyl looking brim. 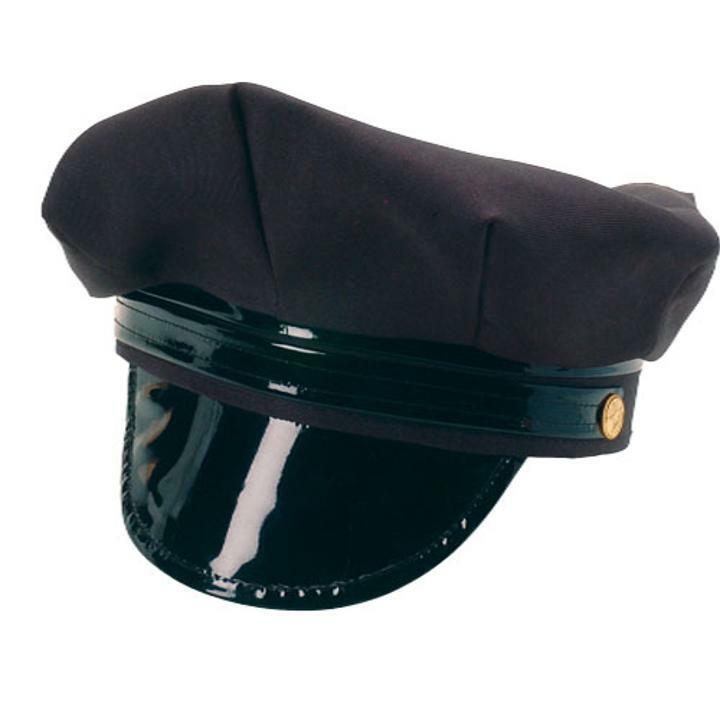 Complete your chauffer, pilot, or police costume with this cap. Stock up on all your costume accessory and hat needs with US toy. We have a wide selection of novelty, career, costume and whimsical hats to suit any occasion. You'll be sure to find the right hat for your next party or costume with US Toy. L: 8.1 in. W: 8.85 in. H: 5.0 in.